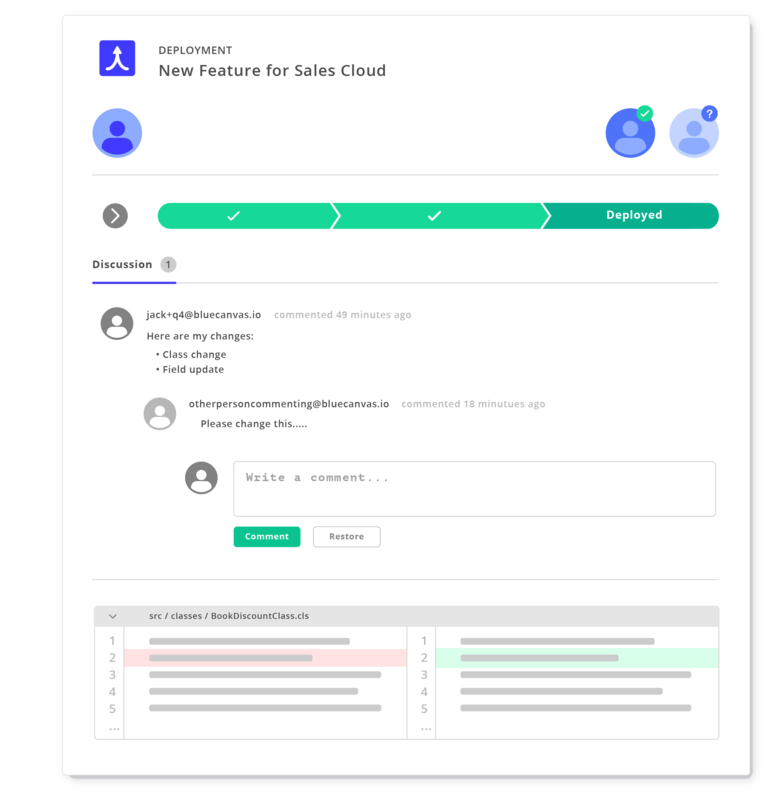 Blue Canvas makes leveraging Salesforce DX simple for admins and developers. You don't have to know anything about DX to get the benefits. As DX improves, Blue Canvas will automatically update your ability to use DX without you having to maintain or manage scripts. Blue Canvas automatically converts your Salesforce metadata into the Salesforce DX directory format. This allows you to track changes on a field by field level rather than on Objects as a whole. 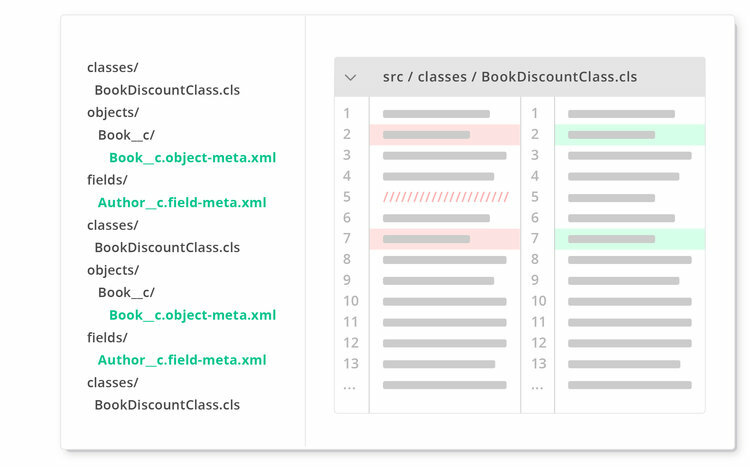 You can also deploy smaller sections of metadata rather than an entire Object at once. 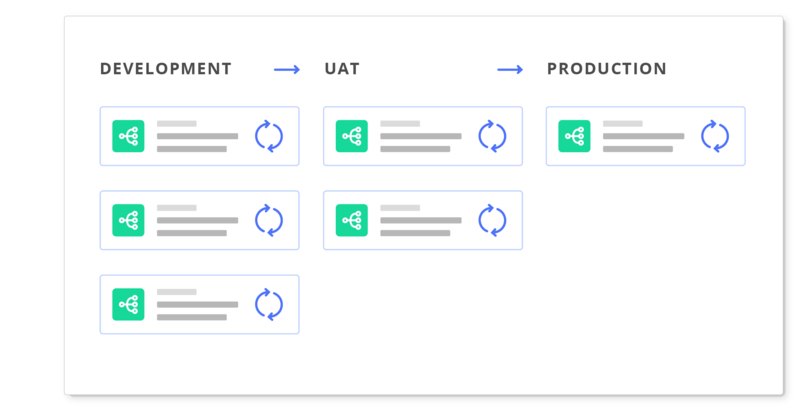 This allows your team to multi-task and have several projects going at once. You can adopt Salesforce DX in 4 clicks. In order to use DX, you must use what Salesforce calls Source Driven Development. Blue Canvas automatically tracks declarative and code changes on the scratch org and commits it into a Git branch for that scratch org. No manual push to Git first. Quickly compare between orgs using Git diff. Spin up a scratch org with a single click. No command-line needed. You can seed the scratch org with metadata from any of your other environments. Blue Canvas normalizes directory structures automatically.